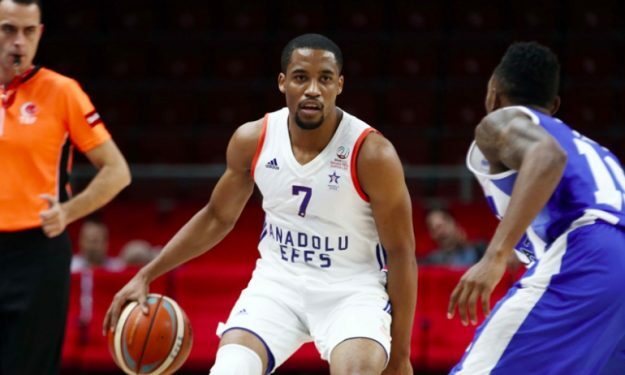 Anadolu Efes guard Bryce Cotton took a leave of absence for personal reasons last week to go the USA and after the Saturday’s bombing attacks in Istanbul… he is not really fond of returning to Istanbul. Anadolu Efes guard Bryce Cotton took a leave of absence last week to go to the USA for personal reasons. And after Saturday’s bombing attacks in Istanbul… he is not really fond of returning to Istanbul. As Ebasket.gr reported and Eurohoops sources can confirm, Cotton has already informed the management of his team that it’s his desire to stay in the USA and not going back to Turkey. Thus, it seems that his tenure in Efes is coming to an end and Velimir Perasovic must look for a replacement. Cotton has been averaging 8 points, 1.6 rebounds and 1.4 assists per game along with 7 points, 2.3 assists and 1.6 rebounds in the Turkish Basketball Super League.